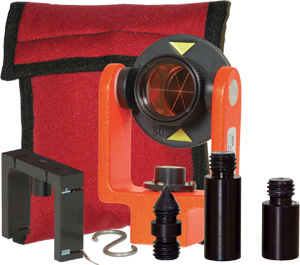 Here's a versatile Surveyors Prism System in a small package. The assembly features a 25 mm copper-coated prism, for fog prevention, a tilting holder, with friction axis, zero or -30 mm offset. It's powder painted and its target includes a 40-min adjustable circular vial. 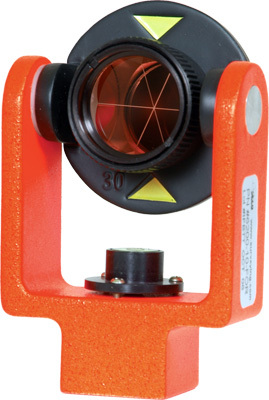 This assembly can be mounted on a Prism pole or tribrach at three heights: 70 mm, 100 mm, 115 mm, or can be hand-held using the plumb bob bracket or with S-hook for quick attachment to plumb bob.